Luxury Bungalow. 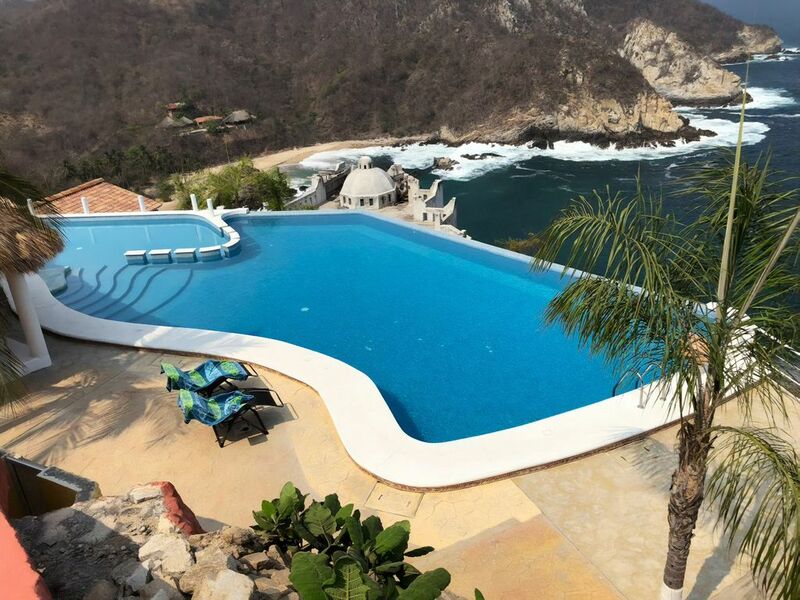 Spectacular views, pool & beach. Newly built luxury villa. Bungalow completely re-designed by new owner. Come and enjoy the spectacular view of this natural aquarium, in which you can see turtles, stingrays and even whales. Enjoy a well-deserved rest in this magnificent space! Fully furnished and equipped with only the best brands and the best materials; all combined to create a unique, exclusive and very tasteful style. It has a large pool, children's pool and palapa. ***** Perfect view of sunrise - sunset. Available contact online: 10 AM - 10 PM via Phone / SMS / WhatsApp. Available contact on site: Señor Mariano. Señor Mariano, who is in charge of maintenance of the property, can presently assist you for almost any matter regarding the property. He only speaks spanish, so please come with a small spanish phrases notebook, or Google Translator. The neighborhood is very quiet and very safe so you will enjoy a wonderful vacation. You can also enjoy Zipolite and Mazunte beaches (15 minutes away), Puerto Angel ( 5 minutes) and Huatulco (40 minutes) by car. Puerto Escondido at 1 hour. We are close to most beaches and places of interest. The Bungalow is 40 minutes away from the Huatulco Airport, if you come by plane I recommend renting a car with air conditioning, so you can move around more easily. If you do not rent a car you can call a taxi or use the collective vans.